Youtube has become popular across the world as a means to post vlogs and other engaging videos, but little original content can be found on Pakistani Youtube. And that is despite the fact that content creators on YouTube earn good money. We see vloggers, tech reviewers and makeup artists from different countries using the platform to exhibit their content and also make money out of it. In recent years, we have seen a few vloggers pop up on the Pakistani YouTube. 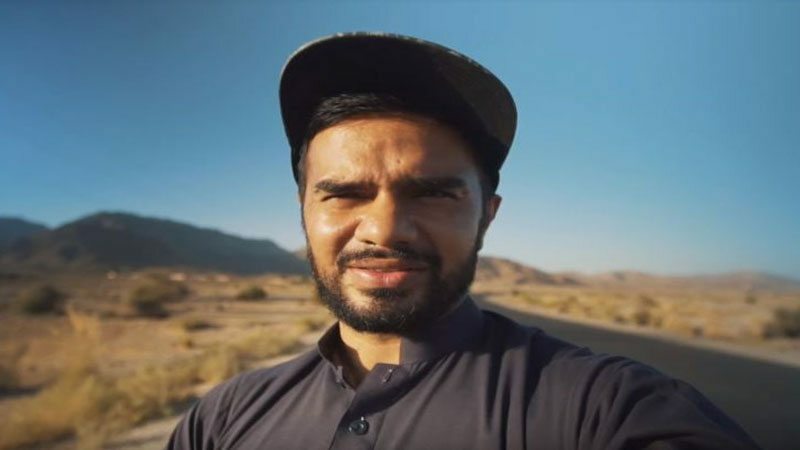 Irfan Junejo is one of the vloggers who have successfully established himself as a content creator. He has more than one hundred thousand subscribers on YouTube in one year’s time, which is impressive, to say the least. Irfan also co-hosts a show on YouTube called “The Jo Bhi Show”, in which daily life issues are discussed. Jerry Seinfeld and Larry David, the creators of a super-hit TV show “Seinfeld” from the 90s, pitched the idea of the show to the producers with a tagline “a show about nothing”. The show portrayed everyday life events and how the writers were influenced by them. In its simplicity, the show evolved as a landmark sitcom that changed the programming dynamics on TV. Similarly, Irfan Junejo’s vlogs are simple and true in nature. That simplicity and his ability to share his message in a concise manner have earned him good following. Irfan has been on the forefront of raising the issue of copyrights of original content where news channels and government institution use the content without crediting the creator, let alone ask for permission or to pay out for using their content. In other countries, you may have to go to jail for stealing someone’s content, but in Pakistan, there is no such debate. We are a society that doesn’t have a concept of protecting the copyrights of content. Personally, I am sure of my ideas now, a basic idea with good execution can go viral and its number one example is Lyari video; a basic idea from Patari and zero planning led me to Lyari to make a successful video that got really popular on YouTube. which is construed as arrogance. I have promoted good singing talent in my vlogs. There are a lot of young YouTubers who have started vlogging inspired from Irfan’s channel; they walk like him, talk like him. This in itself is a huge accreditation to Irfan. “I look for inspiration myself; I receive motivational messages of my vlogs helping someone in their bad time, the kids following my method in their vlogs is also a source of inspiration”. For aspiring vloggers, the question is what works in vlogging, different vloggers have a different approach, and what is it that works for Irfan? “There are two kinds of vloggers, one is a personality-driven vlog where a famous person starts vlogging and the second one is the kind of vlog which is based on the story and cinematic skills. For me, the formula is to manage a balance between the story and creative cinematic skills. Published in Daily Times, February 15th 2018.